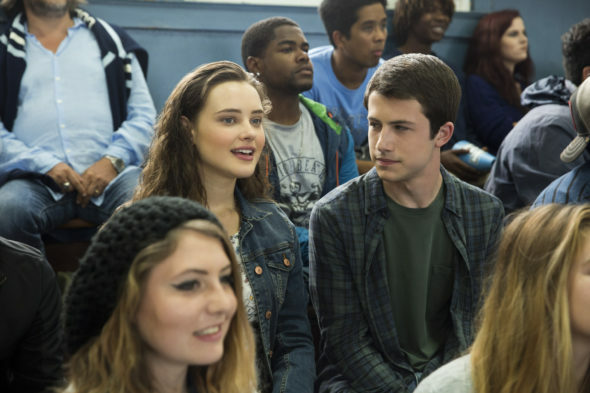 As expected, Netflix has renewed its 13 Reasons Why TV show for a second season. The series’ official Twitter page tweeted out the news over the weekend, with a little teaser. Watch it, below. Deadline reports that season one co-showrunner Diana Son is leaving the production and that Brian Yorkey will helm 13 Reasons Why, alone, in season two. A television adaptation of the Jay Asher novel, 13 Reasons Why stars Dylan Minnette, Katherine Langford, Kate Walsh, Brian D’Arcy James, Derek Luke, Brandon Flynn, Justin Prentice, Alisha Boe, Christian Navarro, Miles Heizer, Ajiona Alexus, and Tommy Dorfman. Season one of the Netflix mystery crime drama followed Clay Jensen (Minnette), in the aftermath of his co-worker, crush, and classmate Hannah Baker’s (Langford) suicide. In the first season, Clay and other classmates listened to Hannah’s audio recordings, in which she detailed her reasons for killing herself. Earlier reports said Langford would return for a second season. Since season one felt like a complete story, it will be interesting to see how the story is framed in season two of 13 Reasons Why. What do you think? Did you watch the first season of the 13 Reasons Why TV series? What stories do you think the Netflix TV show should explore in season two?